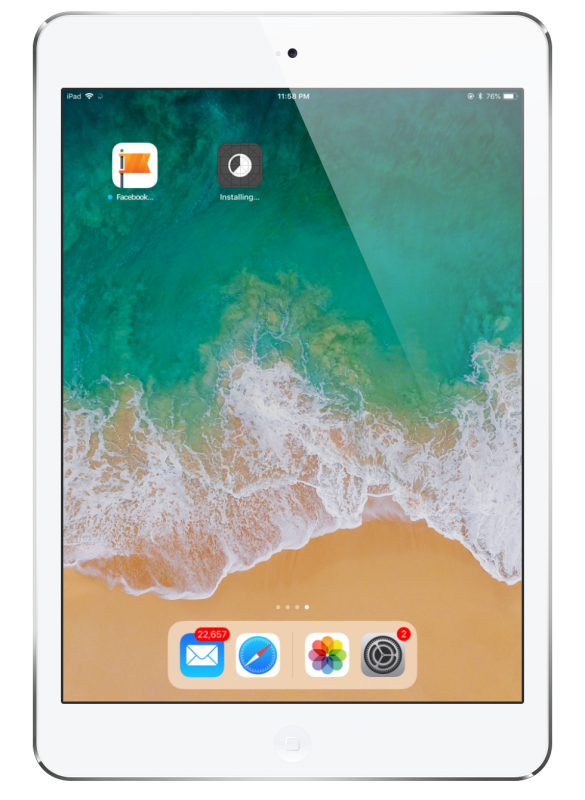 iPad users have one of the best devices in the world to play games on, to record screen videos, watch movies and a whole lot more besides. 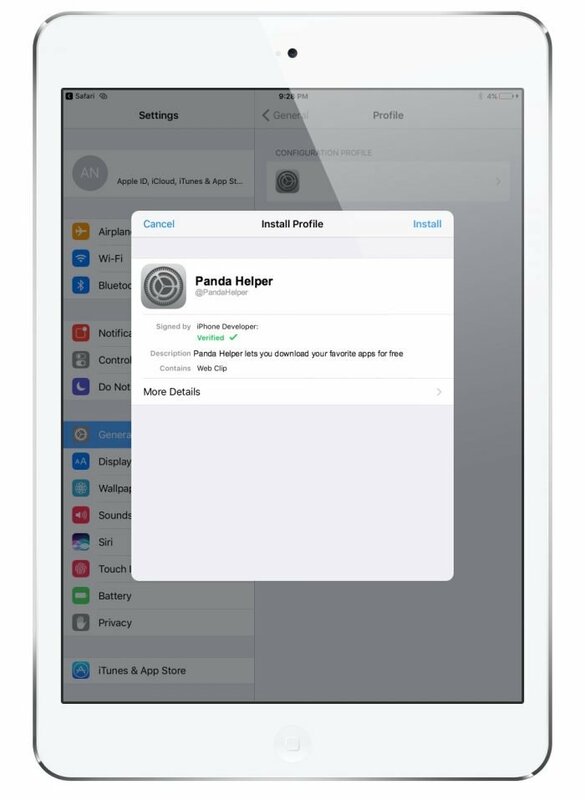 Now we have an iOS app installer called Panda Helper, external to the Apple app store, that offers a vast choice of free apps and games for the Apple iPad. On the home screen, you will see the waiting, then installing icon as shown here. Tap the icon if it takes a while to download. 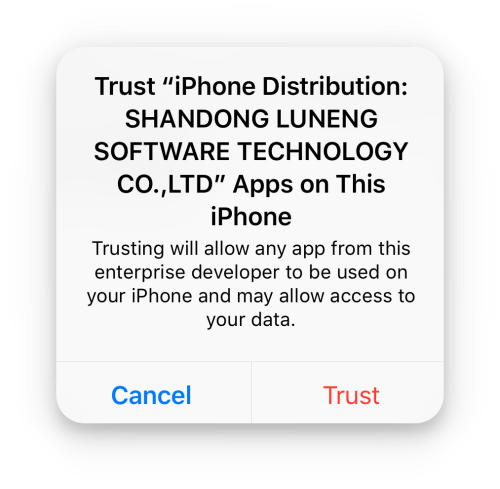 After the download is complete, it will ask to Trust the app developer. The VIP version provides access to many more apps and games than the regular version, but you do need to pay for it. The payment is per device so you must pay for every iPad that you install it on. As well as having more choice, you don’t get any of the irritating ads that support the free version, and you get a more stable, reliable app, leading to better user experience. For VIP Users: Up to the point that you activate Panda VIP, you can get a refund – just in case you hit the button by mistake; once activated, that option is gone. With two versions to choose from, Panda Store provides more choices than many of the external installers. Be prepared for ads on the free version; if you don’t want them, choose VIP. Tell us which one you go for and why and give us an idea of what you are using Panda for; what sort of apps or games are you downloading? If you want more useful and cool tips like this, then follow us on Facebook. You are welcome. Thank you for leaving your kind comments. We are new and are looking for feedback. I got a problem with the link. It just leads me to general>settings>profile with no installed configuration profile. You you have to approve the option as you are directly downloading the configuration from this site. If its doesnt work, try downloading the VIP version and install the free version over it. i Load a Game And now the Game will a Update. i go to Panda, click install and there is Loading. it will be dont loading finish?! I start the iPad new, and theres Loading again. but it will not finish 🙁 what can i do? Thank you for your comment. We need to look into the specific app then and resolve this issue. In the mean time , you can download the app from TweakBox if you like . What App are you looking for , we can provide you with the download link . I will Update „ Last Day on Earth“. A fix or something will be nice. Hello Ali , some users are facing this issue the solution is to download VIP version, then download Free version over it. Your apps will still be free to download even while using Panda Helper VIP version. I had asphalt 9 downloaded but your app stopped working so I had to redownload it. And now it’s saying I need vip to get asphalt 9 again. I would just like that game back please. I don’t have money to pay for your vip version and I already had it before. Can I please have that back. We are having issues with revoke issue . please download your favorite apps from alternative source. I have an iPad and it is not downloading. Like a pop up comes and asks me to indtall and when i press it and yo to home page the app is there but its not downloaded. I cannot download the app on my iPad. It appears on my homescreen but without an icon and I cant open it.